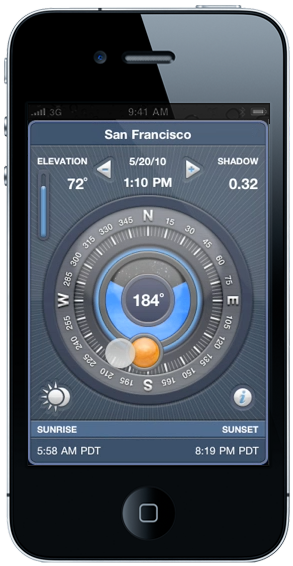 Focalware calculates the position of the sun and moon from rise to set anywhere in the world, at anytime of the year by utilizing your location and date information. Focalware offers unrivaled accuracy and ease of use to photographers shooting outdoors. Focalware for the iPhone is a complete rewrite of a popular program developed in the 1990’s for the Sharp handheld computer by Warner Photography. Filmmakers and still photographers have used Focalware on assignments around the globe. Focalware interface design by Justin Gray Morgan.